I have been a competitive athlete since I was 10 years old. I ran track and played basketball in high school, and ran track in college. When I approached graduation for college, I needed an outlet to continue to foster my competitive nature. Natural Bodybuilding became my outlet. 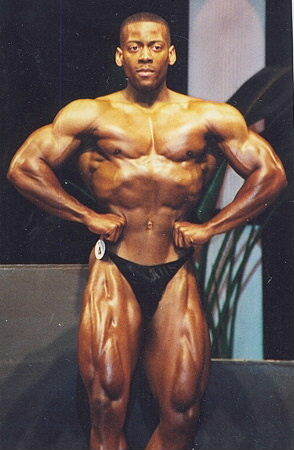 After graduating college, I trained hard for 1 year before competing in my first show. I placed 2nd in the novice division and tied for 5th in the men's open middle weight division. I was hooked. Natural Bodybuilding is such a unique sport. You learn so much about your body when you plunge into the sport. Every bodybuilder I know is obsessed with their training, eating, and preparation and that is what yields such impressive results when you step on stage. I trained for 3 years and competed in 6 shows over a 2 year period. It was truly an awesome ride. 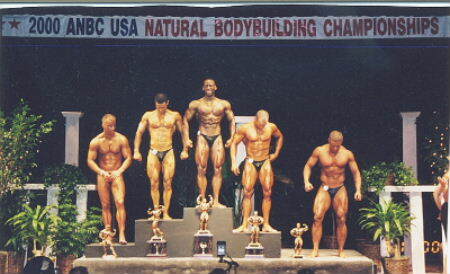 I retired after my 6th show, partly because I won the National Title in my division. Bodybuilding can be an expensive and time-consuming hobby, and after my last show I changed my focus to my building my career and further increasing my education. But, I have to admit that the bodybuilding bug is still inside me, and I anticipate that I will get on stage some time in the future. Here are some pictures from my last show. I want to emphasize that I worked extremely hard, and I was incredibly disciplined for 3 years to get to that point. And, I did it naturally. I used no analobic steroids, no hormones, and no illegal drugs. I am proud that I have never used performance enhancing drugs. that it's you against you. It's a personal challenge that only you can conquer. I hope you get motivated to reach your physical best, and I hope you allow me to help you along the way. Use my site and never stop working towards your goals.